Microsoft Corporation (MSFT): Could Office Go Outside Windows? Well, hours after CNBC reported that ValueAct Capital Management threw nearly $2 billion into Microsoft Corporation (NASDAQ:MSFT) today, ValueAct CEO and founder Jeffrey Ubben spoke out about the transaction. Well, OK, maybe not the transaction itself, but as he does lead an activist hedge fund, he at least made some comments that seem to give us some insight into why he would make such an investment. Ubben discussed Microsoft Corporation (NASDAQ:MSFT) when he made some remarks at the Active-Passive Investor Summit in New York. What he essentially talked about was what many people already knew about Microsoft – it was not a company built on consumer devices and services. Its bread-and better has been the enterprise and cloud storage and cloud computing, and Ubben said he sees huge potential growth in those area going forward. However, he did recognize hat Windows was falling behind due to lagging PC sales, and he went on to say that he believes that Microsoft Corporation (NASDAQ:MSFT) should probably unhook much of its brand from Windows – and that essentially means detaching many of its services from Windows and making them more readily available outside the ecosystem. For example, “Microsoft must consider strongly in the not too distant future making Office available outside Windows,” he said. Ubben also referred to instant-messaging platform Lync as well as SharePoint as examples of enterprise services that Microsoft does well and should continue for the future – but making them accessible to those outside the Windows ecosystem. Generally, Ubben invests in companies with an activist role where he works with management and the board of directors to fancy changes that he thinks would help share price. While some of his investments have resulted in personnel or managerial moves, his comments may indicate more operational changes with Microsoft Corporation (NASDAQ:MSFT). For example, he seems to think that Microsoft has quality services like Lync, SharePoint and even Office that could be unhooked from Windows and become heir own services – like, seeing apps for iOS, Android and BlackBerry for each of these services. That could be one way that Microsoft could depend less on Windows success and get its software to a greater public outside of the enterprise or network ecosystem. How do you feel about Microsoft’s software offerings? Would you use Office on an iOS or Android device if the opportunity was there to use it without needing a Windows environment? 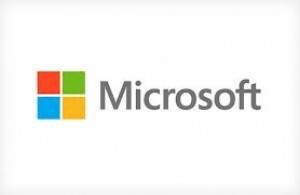 Do you see Microsoft Corporation (NASDAQ:MSFT) making a move like this, with or without Ubben’s investment and activism? Let us know your thoughts in the comments section below. DISCLOSURE: I own no position in any stock mentioned.